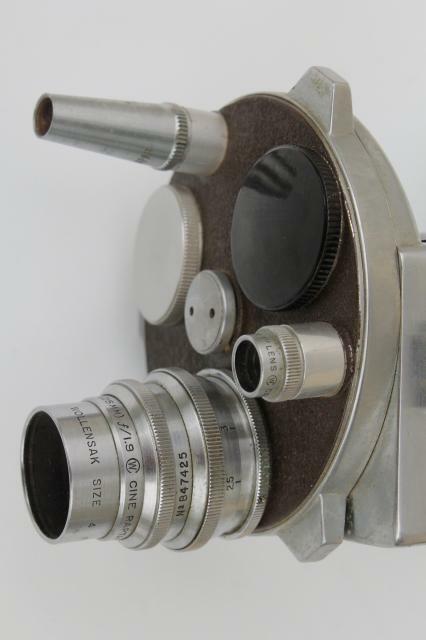 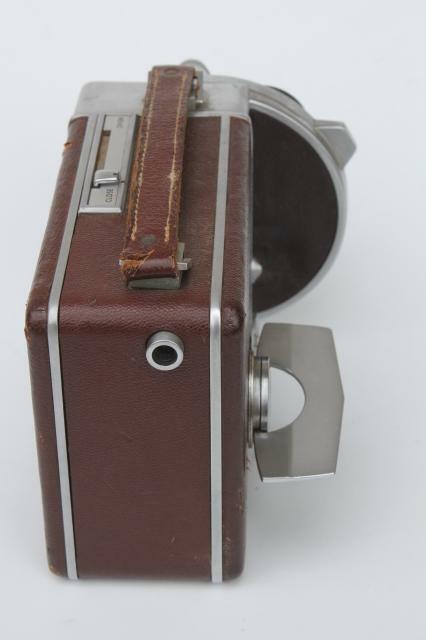 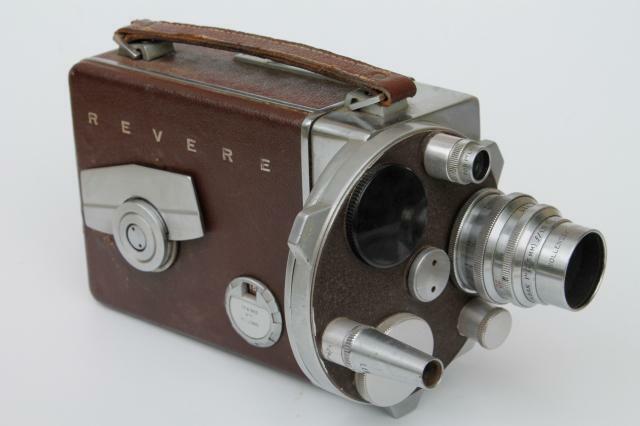 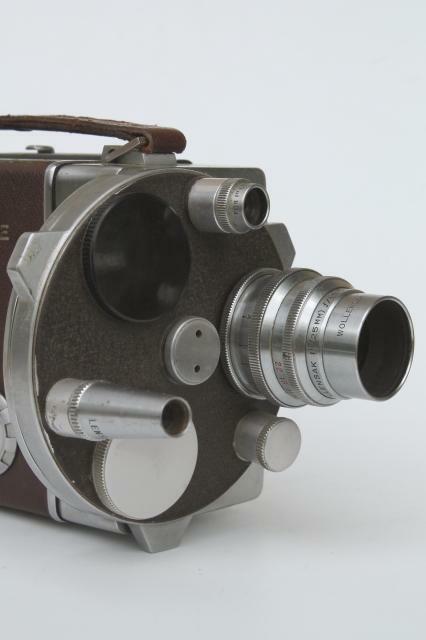 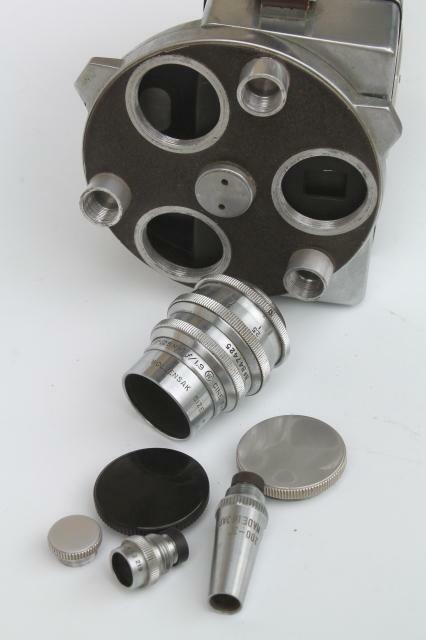 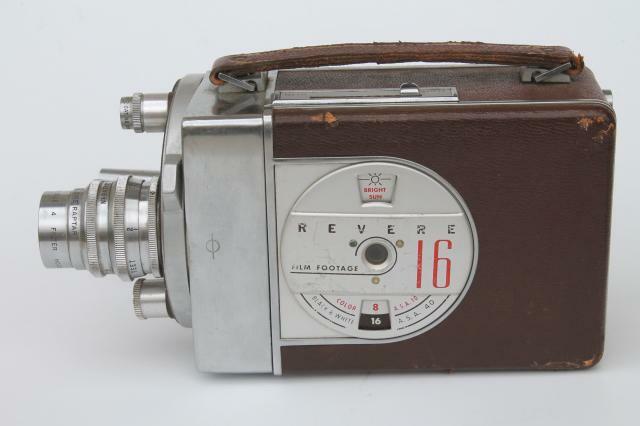 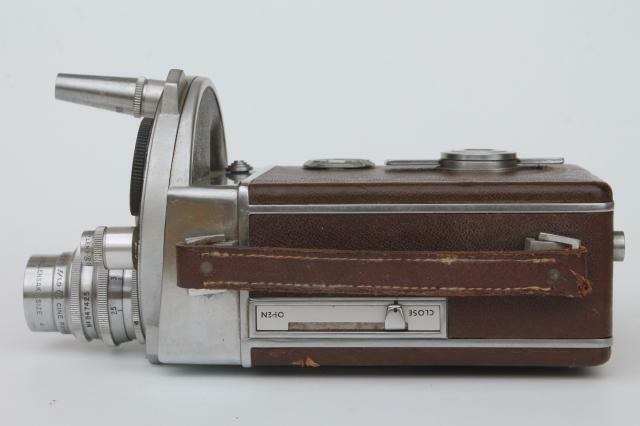 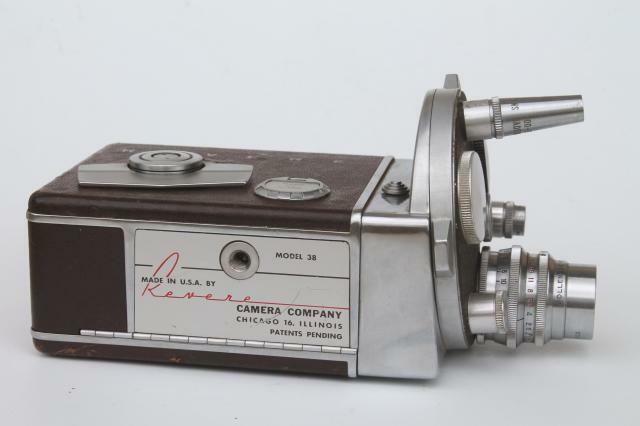 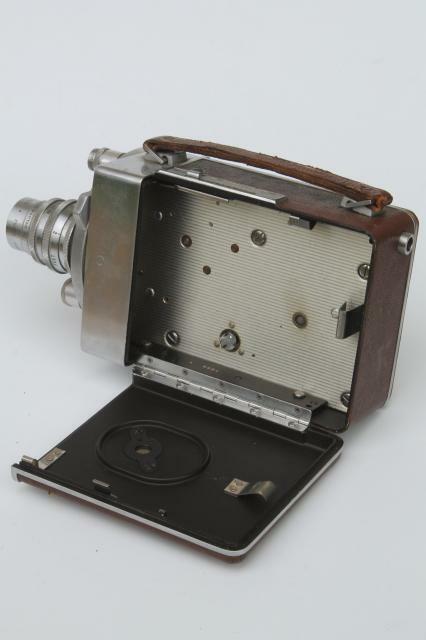 Mid century vintage Revere model 38 16mm movie camera from the 1940s or early 50s. 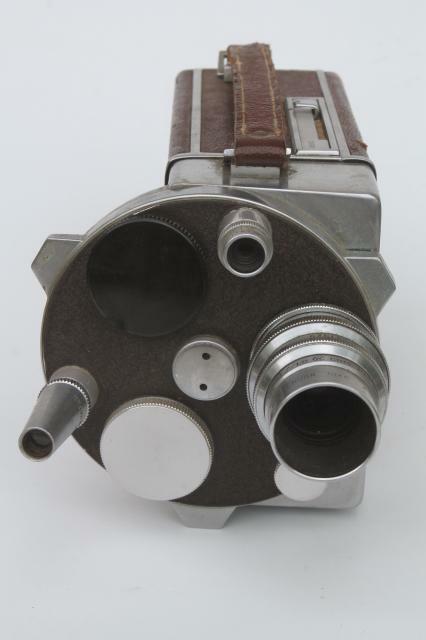 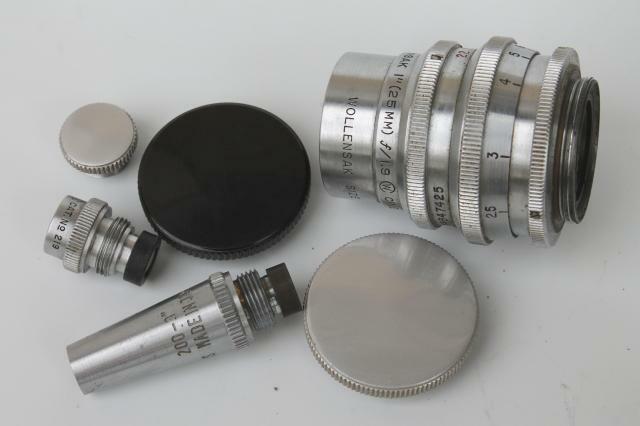 This has a lens turret and the large lens is a Wollensak 25mm Cine Raptor. 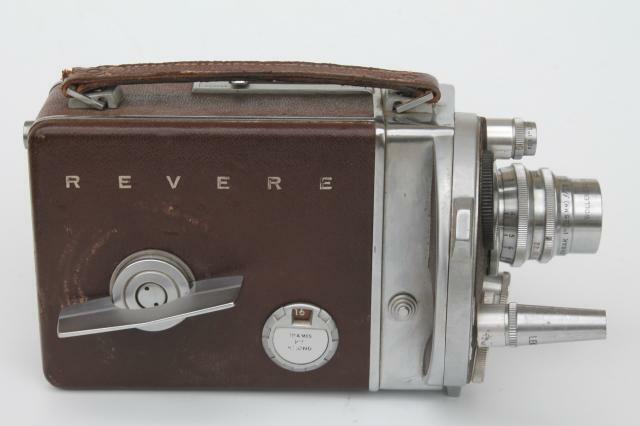 It is nice and clean with a little minor wear, but we can't get it to wind and so we're selling to for restoration or parts.